This TA Technix sport suspension kit is for the Mazda 626 type GD from 1987-1992 without Station Wagon, 4WD and four wheel steering. This TA Technix sport suspension kit is for the Mazda 626 type GC from 1982-1987. 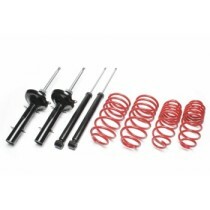 This TA Technix sport suspension kit is for the Mazda 626 Station Wagon type GV without 4WD.